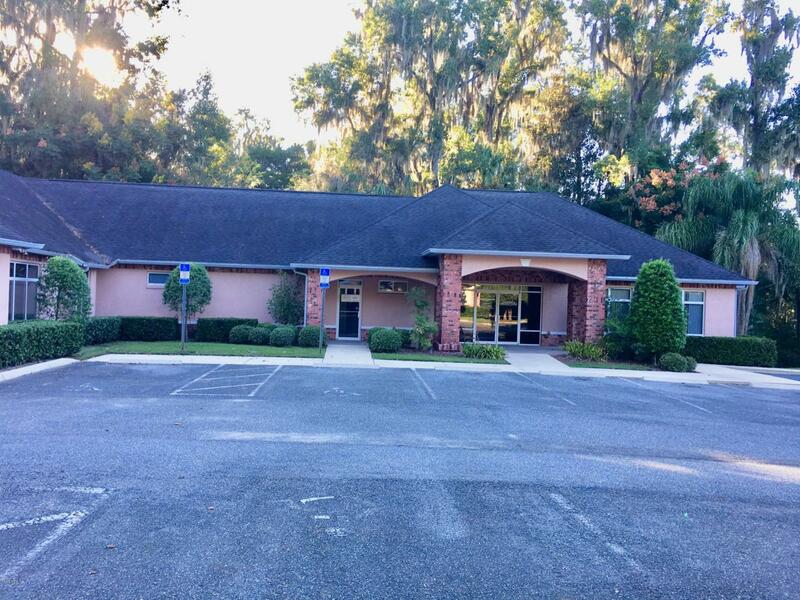 Large 6,120sf medical office (includes an attached garage), For Sale: Property is located in Palm Medical Park which is 1.25 miles south of the hospitals. Office has five exam rooms (with sinks), 1 procedure room, five offices with private restrooms attached (one has a shower and lounge area), 2 nurses rooms (with sinks), consult room, large waiting room, reception area with check in and out windows, and large file area, three storage rooms, large 13' x 19' break room, and a 20' x 16' attached garage with private entrance. Ocala/Marion County is a great place have your business and to live! Forbes magazine has ranked the Ocala MSA as a Top 10 Metro for Job Creation for 4 consecutive years! Bloomberg ranked the Ocala MSA as one of the Ten Fastest Growing Economies in the country.Companies like FedEx, AutoZone, Resources, Auto Custom, and more have invested more than $300 million on new facilities in the last few years. Ocala/Marion County is fortunate to have a diverse and rebounding economy. With a location along I-75 and the midpoint between Atlanta and Miami, this area is second to none when it comes to logistics and distribution. Our manufacturing base has strengthened and growing professional and business service sectors are on the rise. The growing population and excellent training programs supply a steady workforce stream for employers. The mild climate, close proximity to universities and international airports, and an available, skilled workforce blend together to create the environment new and expanding businesses are naturally attracted to for growth and prosperity. This emerging economic growth and strong, stable economy continues to make our community Beyond Expectations! Established in 1846 as a military outpost, the city of Ocala's population at the last census in 2004, numbered 48,901. Today several major highways pass through the city, including Interstate 75, US Highway 27, US Route 301 and US Highway 441, making Marion County, the home of Ocala, easily accessible from the north, south, east and west.